Like most affordable American cars that didn’t receive major updates, the Taurus eventually became primarily a rental and fleet car. And in 2006, it was discontinued forever. Or was it? 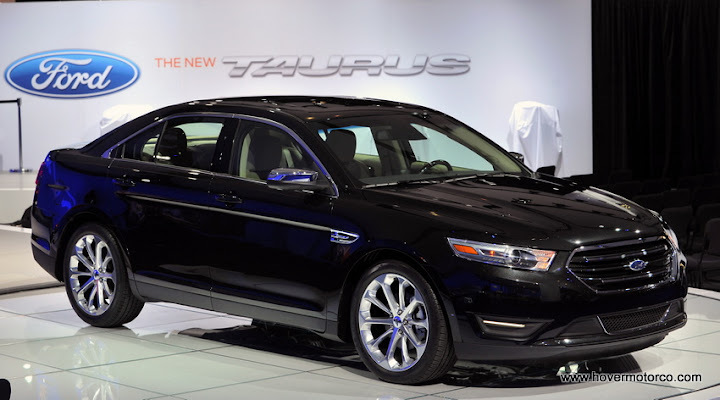 When Alan Mulally became the CEO of Ford, he ordered that the frumpy Five Hundred be rebadged as the Taurus in 2008. Thankfully, that was just a stop-gap, because a completely new, and infinitely improved Taurus arrived on the scene in 2010. And the Taurus name would never have the same meaning again. 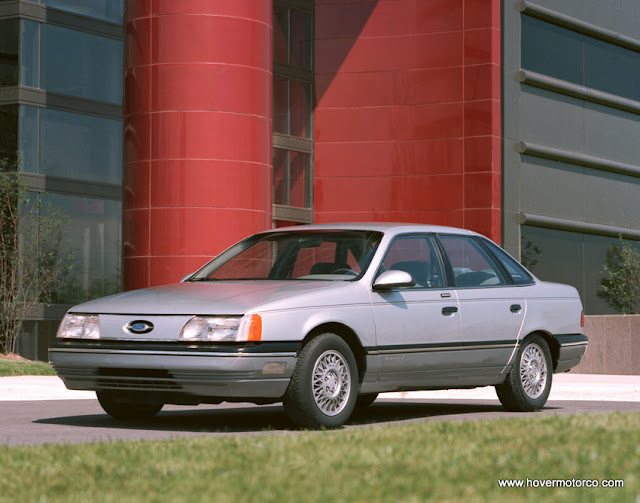 Today, many of Ford’s bread and butter sedan sales come from the Fusion, which a bit smaller and less expensive than the Taurus, but also a nice car. New Taurus sales hover in the 65,000-a-year range, which is less than a third of those huge 1986 numbers. But those who do choose the current Taurus are rewarded with an upscale, almost Lincoln-like experience. I had the opportunity to drive the ’13 Taurus in San Diego recently, and I can tell you that it is an exceptionally nice car that is impossible to confuse with the low-rent versions of the past. Look for a completely new trapezoidal grill design, a bigger hood bulge, a higher, flatter deck lid, and fancy new taillights when spotting the newest version. The Taurus is a big car—on the outside. You might not catch the full effect in pictures, but when you stand next to one, you definitely notice it. A Crown Vic might be longer, but when you compare one to this Taurus, it doesn’t have the same girth. That quarter panel between the wheel well and the c-pillar is just flat-out huge. 20-inch wheels don’t even seem big on it. Standard 17's look downright dinky. But when you sit behind the wheel, you don’t exactly have a cavernous space in which to leap and dance. The instrument panel and console area is all around you. It isn’t Hummer H1-like wasted space, but you aren’t going to confuse this with your grandpa’s Buick Electra either. It’s just the typical modern car. Connect your iPhone and music player with the Ford Sync system. Punch in your coordinates with the MyFordTouch screen. Roll on down the highway in your mobile computer console and entertainment system. 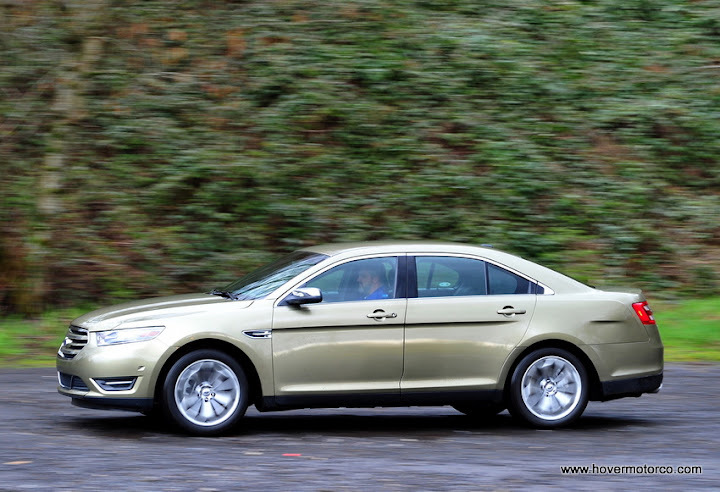 The base Taurus does not drive much differently than last year’s version under normal conditions. Under the hood is a 3.5-liter V6 that produces a respectable 288-hp. Get it in front-wheel-drive, all-wheel-drive, and a one of three trim levels; SE, SEL, and Limited. The new AdvanceTrac Electronic Stability Control System will help prevent you from skeetering off the road in a turn, and the optional Active Park Assist will automatically parallel park the car for you. Of course, the Taurus weighs close to 4,000-lbs, so 288-hp might not be enough to make some people happy. That’s where the new Taurus SHO comes in. And for 2013, most of the big changes can be found on this model. Compared to last year, the SHO is more distinguishable from lesser Tauruses. The black mesh grill and unique 20” wheels give the SHO a considerably more sporty appearance than the other models. The SHO is $6,200 more than a Limited, so people should be able to pick it out in a lineup. The SHO features a 365-hp, 3.5-liter V6 with Ford’s twin-turbo “EcoBoost” technology. And compared to the non-turbocharged engine, you feel a big difference. I mean a seriously big difference. It takes the Taurus from being a nice car that an older man might want to a genuine performance contender that a young guy might aspire to. It wakes this car up immensely. 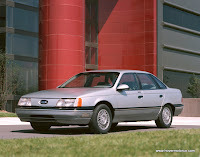 The elimination of the venerable Crown Victoria from Ford’s order guide has an added benefit for the new Taurus SHO. As Ford tries to move its police fleet business to a new Taurus-based Police Interceptor model, many of the heavy-duty upgrades are trickling down to the civilian models. Things like bigger oil pans and radiators and beefier brakes are adding to the SHO’s performance credentials. In particular, let’s mention those brakes. As part of the SHO Performance Pack, you get huge, police-spec brake rotors with a “reverse-hat” cooling design. They actually had some of the new rotors sitting in the meeting room with is, and they were quite impressive. Brake fade was a somewhat common complaint with the previous SHO, and the Ford folks insist that these new ones held up under intense testing. I can’t honestly say that I drove the SHO hard enough to elicit brake failure, so we’ll have to take their word for it. Also for 2013, non-SHO models will be available with an economy-minded 2.0-liter EcoBoost four-cylinder, which is a major option addition to the Taurus lineup. More information on that power plant will surface closer the introduction date later this summer. Probably the biggest hangup with the Taurus for most people is the price. A base SE model starts at $27,395. But of course you want the SHO with all the bells and whistles, and those start at $38,995 before you add any options. Heck, that 1986 Taurus we were talking about earlier started at $9,645. We’re clearly not on the same level anymore. Still, I suppose it’s all a matter of perspective. A 2013 Lincoln MKS is nicer than a Taurus, but honestly, not that much nicer. The base sticker on one of those babies is more than $42,800. Granted, that gives you a slightly bigger 3.7-liter V6, but the same 3.5-liter EcoBoost from the SHO is optional. 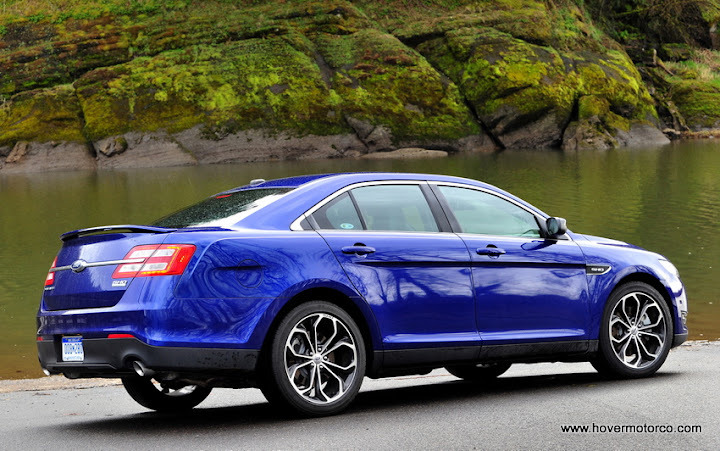 If you look at it that way, the Taurus SHO is a relative bargain. And even if you do consider the Taurus to be a little pricey, this really is one of those instances where you get what you pay for. The slideshow below has 2013 Taurus pictures from a variety of sources. Of course, some of them are from the ride and drive in which I was fortunate enough to participate in San Diego. There are also pictures that I took at the Detroit and Kansas City Auto Shows. And then, I figured you might appreciate some decent photography, so I’m including a few beauty shots from Ford’s media department. THose are pretty nice cars. The SHO looks pretty sweet. 365 h.p. That's muscle car territory ! If I were in the market for a new ride the Taurus would be in the front running. Nice writeup, thanks! The Taurus seemed nice out on the road, but I didn't realize how nice until I read this. It really does look like a nice car, and I'm planning on replacing my Acura this year. I'm definitely going to add this to the cars I take for a test drive this time. Just ordered a 2013 Ford Taurus Limited yesterday with the special red color,and with almost every other option available, did a lot of reading and analyzing before taking the big step. Will be anxiously waiting for it, should take between 6 and 8 weeks for delivery.